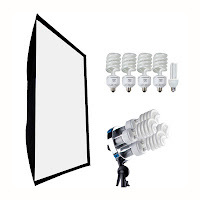 We've spent quite a good deal of time recently informing you about photography lighting equipment. 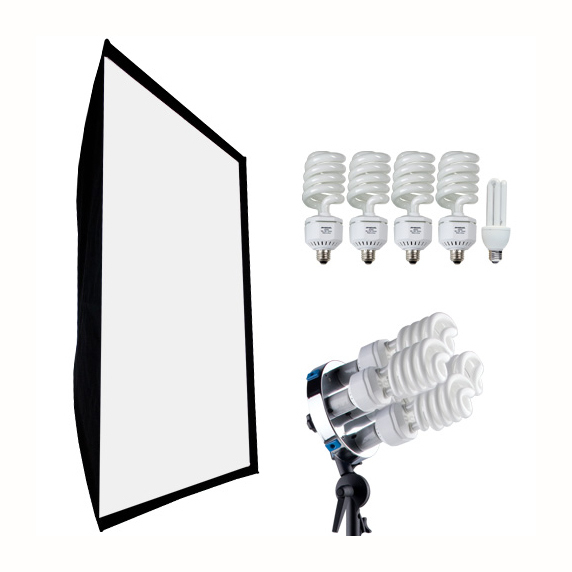 You already know about Tungsten lighting and you're more comfortable with strobe lights. Now it's finally time to discuss fluorescent lights. Most photographs that use fluorescent lights indoors seem more natural, especially black and white photographs. However, color photos tend to look a bit more unnatural. Fluorescent lights produce more blues and greens and lack in reds. Without the use of filters, you can expect a blueish/greenish tint on your photos. This can seem light a major disadvantage and might discourage new photographers. When used properly though, fluorescent lights can really shine –pun intended. Fluorescent lights are brighter and more evenly light a room than Tungsten. With a higher level of light it is easier to receive enough exposure and can capture more detail that may have been lost in shadow areas. They are also not nearly as hot as Tugnsten, so your subject won't feel the heat after a long photo shoot. Another positive is they will create very soft light, similar to that of a softbox. Keep in mind that when photographing people, fluorescent lights can cause dark shadows underneath the eyes, making they appear sunk in.